There's been a resurgence of interest in guitar music in the last few years, with artists such as Six Organs of Admittance, Jack Rose and James Blackshaw appearing as if from nowhere citing John Fahey and Robbie Basho as their spiritual guides and creating some of the most beautiful music available. 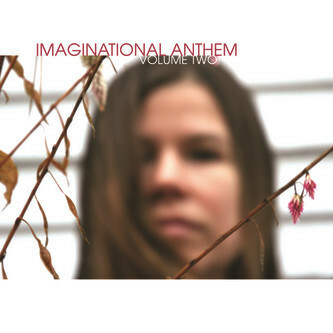 The first volume of 'Imaginational Anthem' was a document of some of the most important solo acoustic guitar artists of all time, and now we have a second volume which features incredible contributions from Christina Carter, Jack Rose, James Blackshaw, Jose Gonzalez and Robbie Basho among others. If you don't think you can handle 70 minutes of purely instrumental fretwork then you'd better look at something else, but for those of us warmed by the sound of fingers running across tightly woven strings then this is the perfect record. Opening with James Blackshaw's trademark 12-string style on exclusive track 'River of Heaven' we are instantly into remarkably beautiful territory. This track showcases the young UK guitarist's skill and shows he can sit amongst his contemporaries with ease. Elsewhere Charalambides' Christina Carter contributes the 7 minute 'Ascend Mem', a haunting, dissonant piece unlike almost anything else featured on the compilation. Her unique and untraditional style is a breath of fresh air from the slick technicality of some of the other pieces and it's great to see her finally getting some recognition. Ending the disc is a piece from guitar legend Robbie Basho - this 10 minute raga shows exactly what is great about solo guitar music with its emotion, energy, passion and deep narrative. The perfect finale to a distinctive collection of music, anyone wishing to hear more unplugged axe-wielding should look no further.